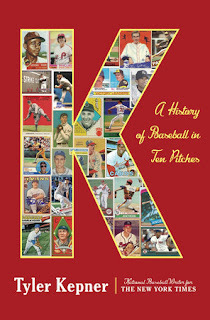 Brooklyn Digest: Part 2: A Conversation On Pitching With Tyler Kepner Of The NY Times, Author Of "K"
Part 2: A Conversation On Pitching With Tyler Kepner Of The NY Times, Author Of "K"
Baseball in Ten Pitches (Doubleday; hardcover, 320 pages; $28.95). 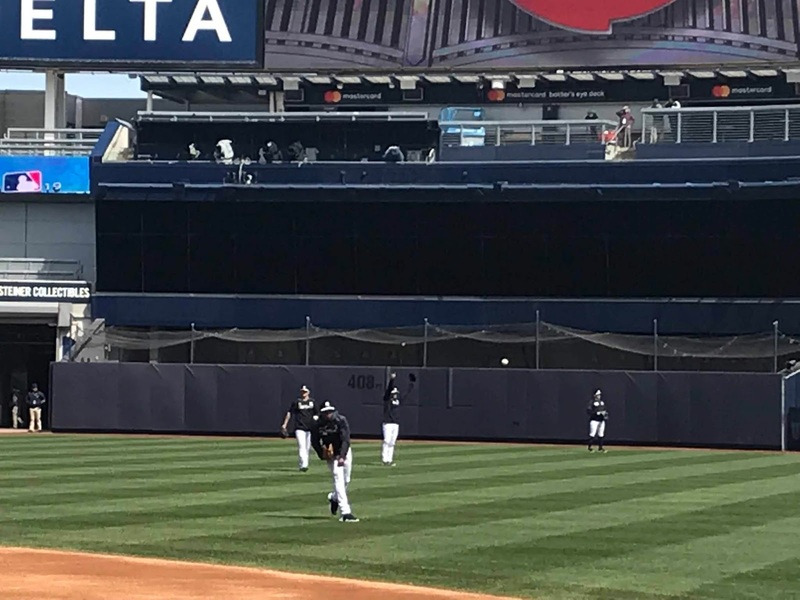 Jason Schott: When Mariano Rivera and Mike Mussina were inducted into the Baseball Hall of Fame this past January, there was a press conference held the next day along with Edgar Martinez, and they were talking about pitching. Mussina had that deadpan line about Rivera, 'He had one pitch!' He was referring to the cutter - just how good did Rivera execute that pitch? I always thought Rivera had more artistry than people maybe gave him credit for. I point out in the book a time where he closed out a World Series game against the Mets with four-seam fastballs because Matt Franco was trying to account for the cutter, and he stood too far from the plate, and Rivera just three four-seamer right on the outside edge. He would do some sneaking fastballs sometimes. If you look at the three innings he threw in Game 7 against the Red Sox in '03, some of his outs there were on the fastball that went the opposite way, but, yeah, most of the time, it was the cutter, and it was just such a hard pitch for hitters to square up even though they knew it was coming. That's what set him apart because, basically, with enough time in the postseason, guys will perform the way they usually do in the regular season. The exceptions are the ones we really remember, Bob Gibson or Madison Bumgarner, Curt Schilling, and Rivera is certainly in that class because Jeter's stats in October were pretty much the same in the regular season. Bernie, Posada, it's not much different, Pettitte, they all had big moments, but there were so many moments that it tended to balance out. Rivera was just - yes, there was the Sandy Alomar homer (for Cleveland in the 1997 ALDS) and the ninth inning in Arizona (Game 7 of the 2001 World Series) - but his postseason record is just extraordinary. So, if you want to go by why they won so many championships and why they were so good in October, yeah, Rivera's probably the biggest difference maker. 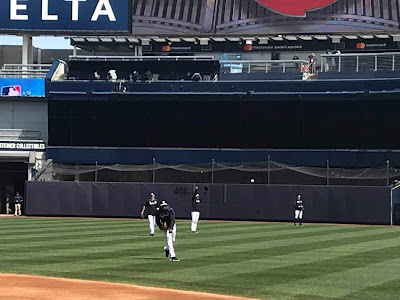 I think on a day-in, day-out basis, Jeter was the best of that group, you know, to have a shortstop hit like that and played every single day, and beyond the intangibles that he brought. For the reason they got those rings, that was because they had such a huge, huge edge in not just the ninth inning, but the eighth inning by the way they used Rivera back then. TK: I do, I think he's a case where a borderline candidate has some moments that just elevate him. 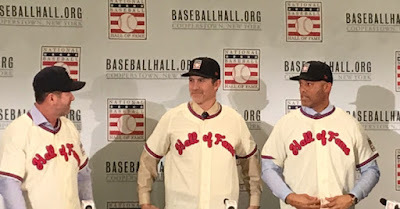 I feel like, to me, the Hall of Fame is, I prefer it if the inductees have a really compelling story that you can tell yourself and you can tell your kid or your friend when you walk through the halls there, and you can point to a plaque and say 'this is why this guy was memorable. Let's take a guy like Dave Stieb, who was probably a better pitcher on a start-by-start basis than some guys who are in Cooperstown, but there weren't many memorable, historic postseason moments for him and there were for Schilling. You can look at that postseason record and you could say, this is why we watch, this is why we care to see who wins in October, and this guy did it time after time, he was nails in the playoffs for three different teams, for Philadelphia, for Arizona, and Boston, To me, that elevates him, and also, I don't think he has to apologize for his regular season record either. He's the only pitcher ever with 3,000 strikeouts and fewer than 750 walks, the best strikeout-to-walk ratio of anyone between Tommy Bond in the 1800s and your Chris Sale types now. Schilling had an awesome career, and I think eventually he will get in. JS: Greatest rotation you've ever covered or witnessed? TK: Well, for one or two years, it's hard to beat Roy Halladay, Cliff Lee, Cole Hamels and Roy Oswalt with the Phillies, but for a decade or more of doing it, I mean, how do you go against the Braves? 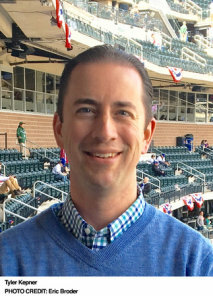 They got to two World Series (in 1991 and '92) and they almost won them without Greg Maddux, and then they get Maddux, and I still can't believe the '93 Phillies beat them in the playoffs. I saw a couple of those games firsthand, and I saw that Phillies team all year, and it's still amazing that they beat the Braves. They're the exception to the rule. They didn't develop Maddux, they developed Avery, they got Smoltz in a minor league trade, and they developed Glavine, but usually, if you have three promising young arms, one will meet your expectations, one will get hurt, and one will just not end up being as good as you thought, and they just hit on Hall of Famers with two of them, and I guess Avery, you could say he got hurt, but before he got hurt, he did just enough to help them get to four World Series and win one of them, so his career was a success as well. They were the outliers because a lot of teams can have several promising pitchers at the same time, but for so many of them to fulfill your dreams, that is something we definitely don't usually ever see. TK: People will say they only won one World Series, and I guess that's fair because they were good enough to win more than one, but let's not discount how important it is to win that one. When I grew up rooting for the Phillies, and if they hadn't had just that one with Mike Schmidt and Steve Carlton, it would have been such a different feel with that franchise up until 2008. If they were still stuck on zero all the way up to 2008, it would have been this incredible wait. The fact that you did win one means you can always say you're a champion, so I don't think the Braves have to apologize for only winning one. Even though they were definitely good enough to win another, it didn't go their way a couple of Octobers. If you look at where the Braves were going into Game 3 in 1996, the way they had just manhandled the Cardinals at the end of the LCS, the way they just destroyed the Yankees in the first two games on the road, you would have thought this was the Big Red Machine, that they had a couple of World Series disappointments early in the decade, and then they were going to win in year 5 and 6. I mean, it was set up to be exactly like the Big Red Machine, and then the Yankees dynasty took over in Atlanta and totally flipped that script. That's just how it goes, I mean, the Braves were amazing and they have a lot to be proud of. TK: I believe these pitchers when they say there's something different about the ninth inning, I'd be foolish not to believe them I've never been out there and they have. 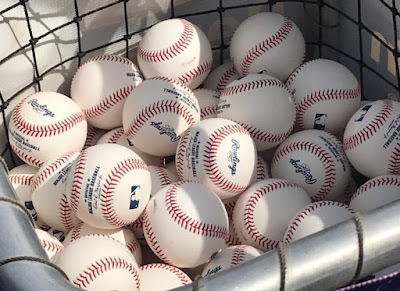 I think a lot of guys can do it, but I'm not trying to downplay how different it is or how important it is, but I kind of feel like if you've got really good stuff and the mentality, and you're strong enough mentally just to make the major leagues, that most guys could handle the ninth inning if they have the stuff. I just have so much respect for the mental toughness you need to make the big leagues, that I don't feel like the ninth inning is going to freak most guys out.I guess what I'm saying is, that I've seen enough, as you point it out with the examples of the Red Sox and Giants championship teams, to believe that a really good set-up guy can probably be a really good closer if you give him a chance. Like we saw Sergio Romo in the set-up role before he became the closer of the '12 Giants, Santiago Casilla, same thing, he didn't get the last out of the (2014) World Series, because they had Madison Bumgarner, but he had a nice season as well that year. We saw Jason Motte close it out for St. Louis (in 2011), we saw Adam Wainwright as a starter rookie in the bullpen and be nails in the (2006) postseason, and we've seen Koji Uehara start the season as the sixth inning role and then end up as a lights-out closer in the (2013) World Series. I think it is possible to find closers on the fly, and I think maybe that Kimbrel possibly, definitely it seems, is overestimating his value to teams. I don't know precisely what he was requesting or what he was offered, but I'm pretty sure he could have gotten a nice deal. You know, Mark Melancon, Kenley Jansen, and Aroldis Chapman, some other closers in recent years have gotten nice deals...I think he'll wind up somewhere, but I can't imagine him getting anything close to what he probably envisioned. JS: Chapman got a great from the Yankees, five years/$85 million, he was very lucky they gave him that. TK: Yes, sure looks that way, with what he's made of his career both as a starter and reliever, and now a starter again. I like Collin, I think he's a really bright guy beyond just the field. He's got a podcast now, which is fun, and he's been able to really utilize the data to make a career for himself. It was the Mets, I think, who first told him how good a weapon his curveball could be, and certainly, going to the Astros helped him a lot, figuring out what he had and how to utilize it. Like I said, he's a real bright guy who is open to new ideas, and yes, I included him in the book, he's a fun guy to talk to. Teams are definitely going to have guys that get away, and oftentimes, they are like that, someone who's a low round pick from a small college, bounced around, and maybe doesn't have the traditional kind of stuff that would knock your eyes out, but that's going to happen, you're going to lose some guys, but you're going to gain some ones like that, too. I'm happy for him, he's a good dude, and hopefully, he has a good year in the rotation and makes a ton of money next year. Edgar Martinez (l.) with Mike Mussina and Mariano Rivera in January. Photo by Jason Schott. JS: Let's go back to the start of our chat, how you see baseball as a sequence of mano-a-mano battle between pitchers and hitters. 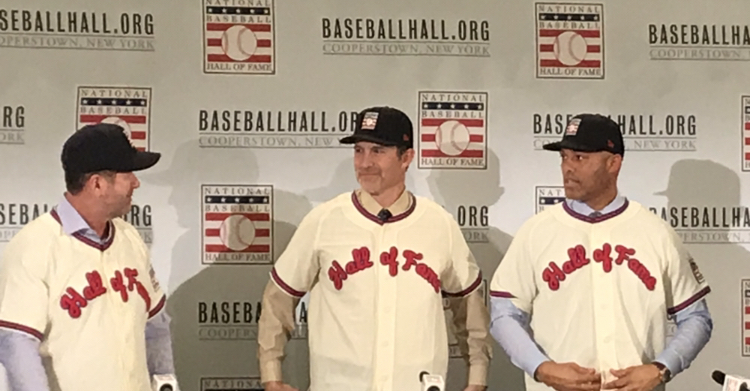 Do you think this year's Hall of Fame class shows that? 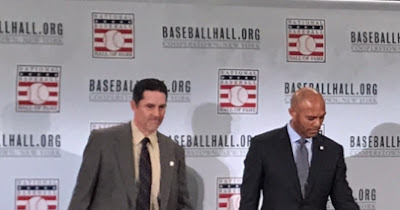 At that press conference in January, Mussina, Rivera, and Martinez talked about what it was like facing each other, and Martinez talked about facing the late Roy Halladay. You could tell they genuinely enjoyed their battles. TK: I think the great ones facing each other is always one of the little joys of baseball, to see, alright, how is this guy going to go after this great hitter. The other night, Bryce Harper against Max Scherzer in his return to Washington, those little matchups where you really don't want to look away are part of what makes baseball so interesting and so fun because, I mean, you don't get to see Max Scherzer pitch every day, so when he does, it's an event. When he's facing a certain great hitter, it's like, alright, we don't really get this in any other sport, it's not like they just say, 'clear the court, we're going to have LeBron James go up against James Harden right now,' you know, there's always other people out there. That one-on-one matchup is just one of the things that makes baseball so distinctive and unique. I know there's a lot of talk about what's wrong with the game and speeding it up or changing these rules around, but baseball is so quirky and so different and so fun, that if you don't get it, maybe I don't blame you because it takes a certain mentality. If you're a baseball fan, like one of the things I love is that the sport is so different than anything else. It's just got so many different avenues to go down, but the pitcher vs. hitter matchup is what sold it for me.